Most drivers are aware of the seriousness of drinking and driving, and the many laws against it. In Colorado, you might also be aware that it is illegal to drive while drugged. For most motorists, “drugged” refers to illegal substances. However, did you know that a legal prescription could count as drugged driving, too? If you are taking a prescription medication – whether purchased at a pharmacy, prescribed by a physician, or legal bought over-the-counter – you must still be responsible behind the wheel. Any prescription can be just as dangerous as an illegal substance or alcohol, and it could result in an accident or a DUI conviction. Antidepressants: An antidepressant that has a natural sedative may cause impairment like alcohol. Valium: Patients taking valium, a tranquilizer, can be impaired to the same level of a blood alcohol concentration of 0.10 percent if they take a minimum 10 mg dose. Antihistamines: Most antihistamines will make you drowsy, or at least slow your reaction times and coordination. Decongestants: Over-the-counter and prescription-strength decongestants are notorious for leading to dizziness, agitation, and drowsiness. Sleeping Medications: Over-the-counter and prescription sleep aides, even after sleeping for eight hours, may carry residual effects that leave you impaired hours after you wake. Hydrocodone: This is a common pain reliever that is found in several prescription medications, including some cough medications. It is the component that creates Vicodin, and it creates an impairment like other pain-relieving medications. Pain Medications: If you are a chronic pain sufferer, you might be prescribed a prescription-strength pain medicine, such as Lortab, Percocet, or Codeine. What you might not realize is that, even though you can take these medications legally, you should never drive. Colorado does not accept drugged driving. Therefore, if you are impaired, even with a minor amount of a drug in your bloodstream, you could be arrested and convicted of drugged driving. The consequences of a conviction are severe, and they can impact your life for years – if not forever. To avoid a conviction for drugged driving, it is best that you refrain from operating a vehicle if you are taking a medication that impairs your abilities. 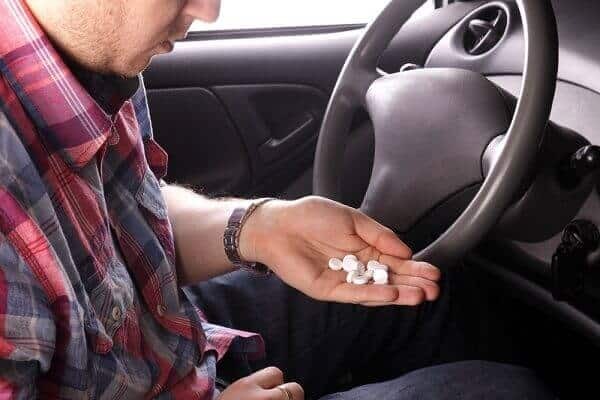 If the drug has a warning about impaired driving, or to not operate a vehicle while taking the medication, then it is best that you do not drive after taking the substance. After an arrest for drugged driving, it is imperative that you contact a criminal defense attorney in Colorado immediately. Christian A. Schwaner, P.C. is a former prosecutor, and he understands the laws about drugged driving, but also knows that not everyone is purposely driving on prescription medications to harm anyone. Schedule a consultation now at 719-577-9700 or send your request online.